From its arresting cover to its fantastic photographs to its quirky animal facts, Animal Architecture is a winner for art lovers, photographers, and nature lovers. The term “architecture” usually means buildings. In this book the term can mean structures made of materials from outside of an animal’s body, such as a bird’s nest or beaver dam. It can also mean structures made with materials from animal’s bodies such as webs, or even ones that stay on their bodies such as shells. Some of the featured animals are very small, such as the caddis fly, but the sparkling photographs with black backgrounds show every hair-like appendage on the tiny creature’s body and every minute piece of wood, stone, leaf, shell or straw in the amazing cases that they build to protect their soft bodies. The photograph with the largest scale goes to another of the smallest animals. The compass termite in northern Australia builds 3 meter (10 feet) high mounds and the aerial photographs taken at dawn and dusk show a flat semiarid field with long shadows highlighting hundreds of aerie gravestones. On any scale, we are not the only creatures who can mold our environment. The changes can be destructive for the host like the galleries of the bark beetle larvae or cause great changes to the entire local environment like beaver dams, termite mounds, or coral reefs. The photographer, Ingo Arndt, has won numerous awards and been published by National Geographic and it’s easy to see why. These photographs are immediately arresting but also bear long study to examine the intricacies of the galleries of the bark beetle larvae, the bower bird’s opus, or the staggering variety of corals. The text by Jurgen Tautz takes up less space but it provides clear and digestable chunks of information about these spectacular architects. Try Animal Architecture if you like the spectacular nature photography of The Oldest Living Things in the World, by Rachel Sussman, The Songs of Insects, by Lang Elliott and Wil Hershberger or Sea, by Mark Laita. Or if you are interested in the substances that these creatures use try Stuff Matters: Exploring the Marvelous Materials that Shape Our Man-Made World, by Mark Miodownik. 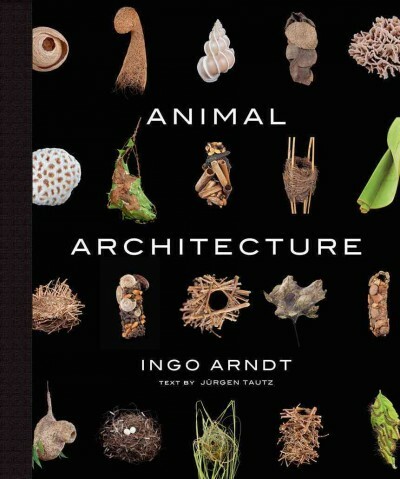 Check the WRL catalog for Animal Architecture. As the title says, Penguins: The Ultimate Guide is a guide book, but here in Williamsburg we are very unlikely to see a penguin landing on our bird feeder and pushing off the chickadees, so today’s book isn’t needed for immediate avian I.D. 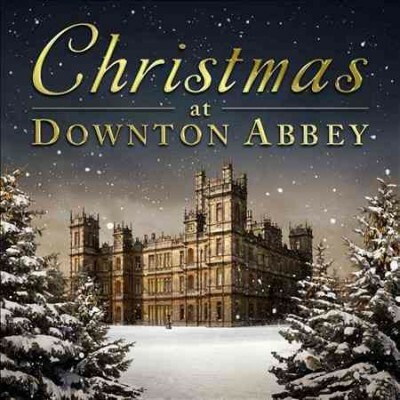 but is more for browsing, learning about these fascinating birds, and enjoying the dazzling photographs. Editors and publishers like to use superlatives to sell their books, but even without exaggeration, The Ultimate Guide lives up to its Ultimate hype! Penguins are remarkable birds that also happen to be very cute. Author Tui De Roy grew up in the Galapagos Islands and has a long acquaintance with penguins and says they have an “exuberant gusto.” The book is arranged in three main sections headed by the three main authors who between them clocked up fifteen years of study and travel in the book’s creation. The first section, by Tui De Roy, goes over penguins’ general biology and occurrence; the second section, introduced by Mark Jones, includes double-page spreads by seventeen separate authors who are scientists, researchers and experts in their fields, with up-to-the-minute information such as “Beyond Prying Eyes: Tracking Penguins at Sea” by scientist Rory P. Wilson. The last section, “Species Natural History,” is what you would expect from a guide book. It goes through the different species with common names, scientific names, physical appearance, distribution, breeding, conservation status, and so on. This section includes smaller close-up photos of individual and small groups of penguins to make positive identification. These contrast with many of the earlier photos that are often breathtaking landscapes with penguins. Penguins: The Ultimate Guide is worth reading even if you have read Penguins of the World by Wayne Lynch from 2007, as Penguins: The Ultimate Guide is larger, more in-depth, and more up-to-date. Check the WRL catalog for Penguins: The Ultimate Guide. 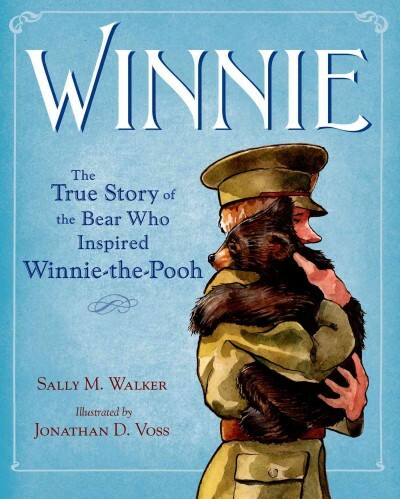 Several months ago a group of us here at Williamsburg Regional Library presented The Top Five of Five for Non Fiction at the Virginia Library Association Conference. I was assigned science books, and one of the trends I reported on was “Guide Books Plus.” Over the next three days I will be reporting on some science Guide Books that are Plus, Plus, Plus! I think they expand the definition of guide book and that they are superbly readable, informative and visually stunning books. The first one is the loveliest book I have seen for a long time with a quirky and fascinating angle on nature: The Oldest Living Things in the World. Some of these organisms have become so old by using unusual survival techniques, or in everyday language by being very strange, for example the underground forest of southern Africa. The landscape is so dry and devastating fires so common that most of this plant grows underground. The photograph shows reddish desert dirt with an unassuming low-spreading plant with olive green oval leaves—just your average weed, except that the part showing is just the crown peeping through. If a fire rips through, it is only like having your eyebrows singed off and the tree will survive. This is a large format book (27 x 30 cm according to our catalog) that is worthy to grace any coffee table. The exquisite photographs of varied landscapes from the fjords of Greenland to the rain forest of Eastern Australia to African deserts are dazzling enough to attract the attention of an art photographer, while the text about the organisms is personal and engaging. Rachel Sussman often describes how she heard of some of the more obscure organisms, how she traveled and what adventures she had in all corners of the world. About 3000-year-old Chilean desert plants she says: “Every once in a while you see something so ludicrously beautiful that all you can do is laugh.” Armchair travelers will thrill at seeing some little-visited parts of the world. This is a great book for readers who like unusual science books with beautiful photographs like The Snowflake, by Kenneth Libbrecht or quirky guidebooks like The Songs of Insects, by Lang Elliott and Wil Hershberger. And read it if you find yourself ruminating on the brevity of our allotted three-score and ten. Check the WRL catalog for The Oldest Living Things in the World. 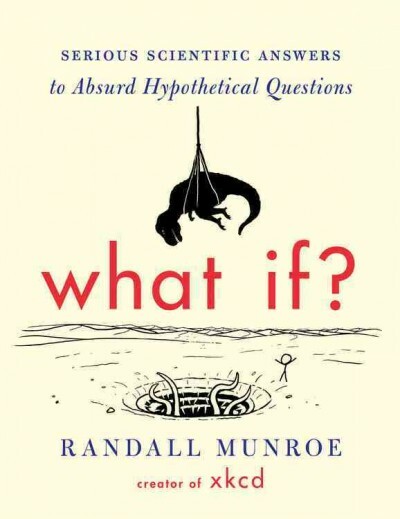 In the introduction to his unexpected bestseller, author, scientist and web-comic guru Randall Munroe says “They say there are no stupid questions. That’s obviously wrong.” Working in a public library we don’t encounter stupid questions, a more accurate description may be tiring questions. What If’s questions (and answers) turn out to be neither stupid nor tiring, rather they are witty, thought provoking and often very, very funny. The “Serious Scientific Answers” from the subtitle really are serious. Munroe attempts to answer questions using the best scientific knowledge currently available, and lots of scary looking math. He has a quirky style that he uses to answer some very quirky questions, such as: “How many Lego bricks would it take to build a bridge capable of carrying traffic from London to New York?” This is the sort of question my sons asked all the time growing up, but they didn’t expect (well, I didn’t give) a serious answer. For this question, Munroe gives six pages of Serious Answer, including his famous stick-figure diagrams. (You’ll have to read the book to learn how many Legos you’ll have to acquire to avoid a transatlantic plane fare). What If? is a great book for science fans and is fun to browse when you’re feeling like something lighter after plowing through six-hundred page scientific behemoths like The Emperor of All Maladies: A Biography of Cancer, by Siddhartha Mukherjee or Spillover by David Quammen. The questions may be absurd as the subtitle claims, but the answers are scientific and who knows, if you buy a copy for the stocking of your family nerd, it may spark (or rekindle) a lifelong interest in science. Check the WRL catalog for What If?